Calling all hot mamas! 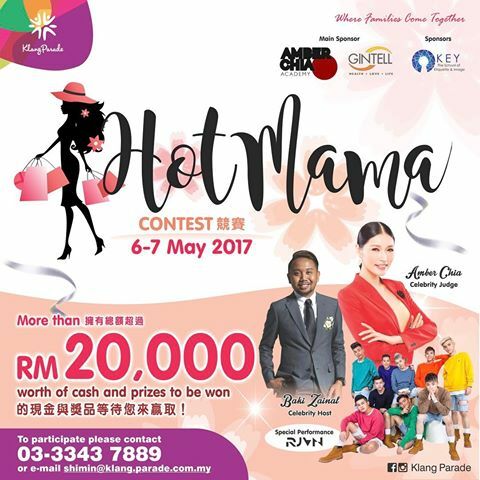 Klang Parade is back for the second time with its popular Hot Mama Contest this year, set to kick off a week before Mother's Day on 6th & 7th May 2017. Similar to last year, a maximum of 25 semi-finalists will be selected, before the Top 10 are selected to proceed to the Grand Final the next day. 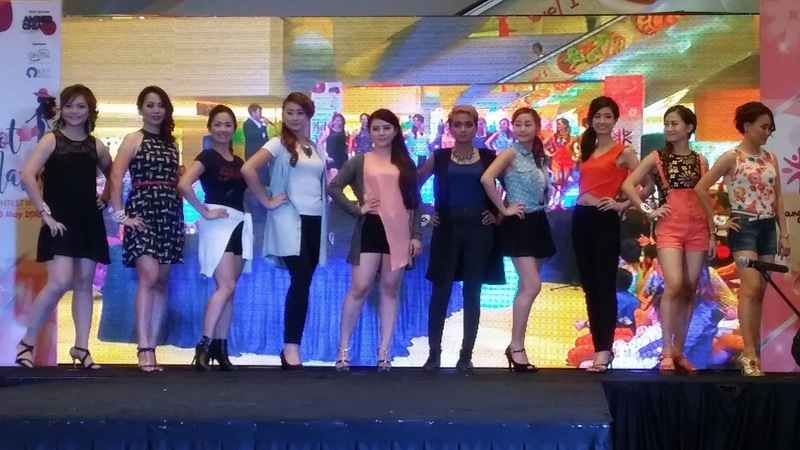 This year Amber Chia returns as a celebrity judge, while Baki Zainal will rule the stage as the emcee on Sunday. 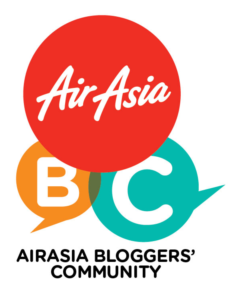 The top 10 finalists will be vying for RM20,000 worth of cash and prizes from the main sponsor Gintell, co-sponsor Amber Chia Academy and KEY The School of Etiquette and Image. From left : Mr John Tam, Centre Manager for Klang Parade, Mr Alan Thoo, Marketing Consultant for Klang Parade and Ms Yong Shi Min, Executive A&P for Klang Parade. 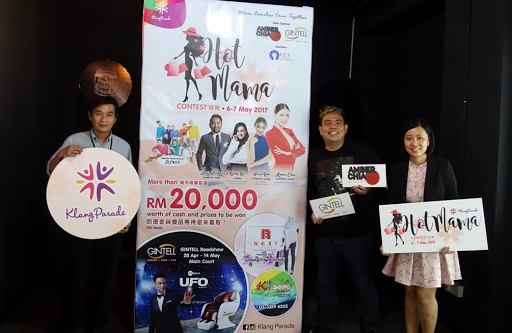 According to Mr John Tam, Centre Manager for Klang Parade, he is pleasantly surprised that the contest resonates so well with women around Klang, as they initially envisioned it to be a one-off thing. With the success of last year contest, it represents the importance of women give to it, thus it is back this year for all the amazing mothers out there. The contest, open to all mothers aged above 21 is a great platform for women to showcase their confidence and talents on stage. Motherhood should not stop you from pursuing your dream. 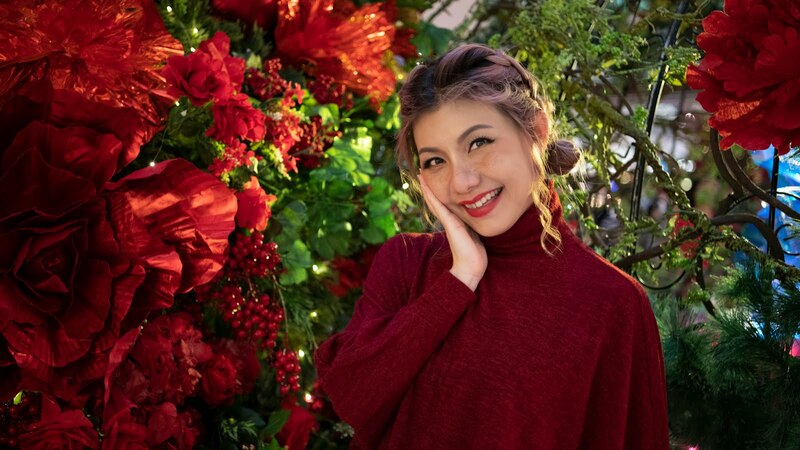 It was also an honoured for Klang Parade to have Amber Chia on board, as she is the perfect exemplar of a woman who can have it all, ambition, career and beloved family. Wait no more! Don't miss this once in a lifetime chance. Download the registration form here and best of luck to all the contestants. nice event. will share this with my friends! All mamas who think they stand a chance should tr their luck. The prizes are always so generous! All pretty mamas standing there. Awhh the prize soo best! Goodluck to those join the contest! so pretty!! 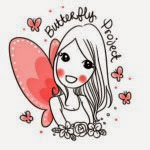 !Good luck to who join the contest! !